The commoning calendar includes activities, such as the annual drifts or pony round-ups. For me, being a New Forest commoner is an enormous privilege that has drawn me into a community of people who share a passion for its landscape, flora, fauna and cultural heritage. A commoner is a person who occupies land or property that has a right (or rights) of common attached to it. 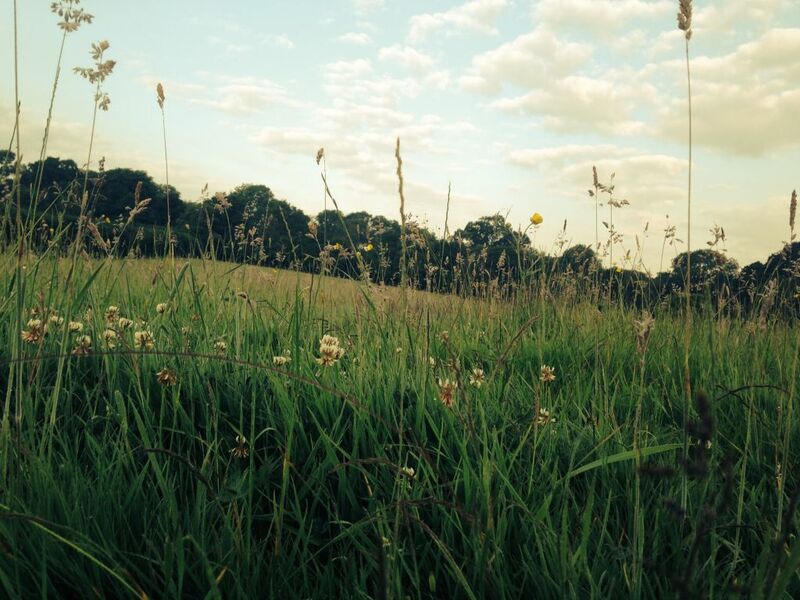 These rights are common of pasture (grazing), mast (pannage), estovers (fuel-rights), marl (clay) and turbary (peat). The most practiced common right is common of pasture, which allows commoners to turn out ponies, cattle, donkeys and mules onto the unenclosed parts of the Forest to graze. There are a few properties, which were once part of a monastery that also have the right to turn out sheep on the Forest, but this is rarely exercised. Mast is the right to turn out pigs in the autumn, known as pannage season, to feed upon the fallen acorns. This not only provides food for the pigs but, because acorns can be toxic to ponies and deer when eaten in large quantities, also helps other animals too. Estovers is the free supply of a specified amount of wood to certain Forest properties, which is strictly controlled by the Forestry Commission. Common of marl is the right to dig clay as a fertiliser for improving agricultural land and is no longer practised in the Forest. Likewise, common of turbary, which is the right to cut peat for fuel is no longer exercised. 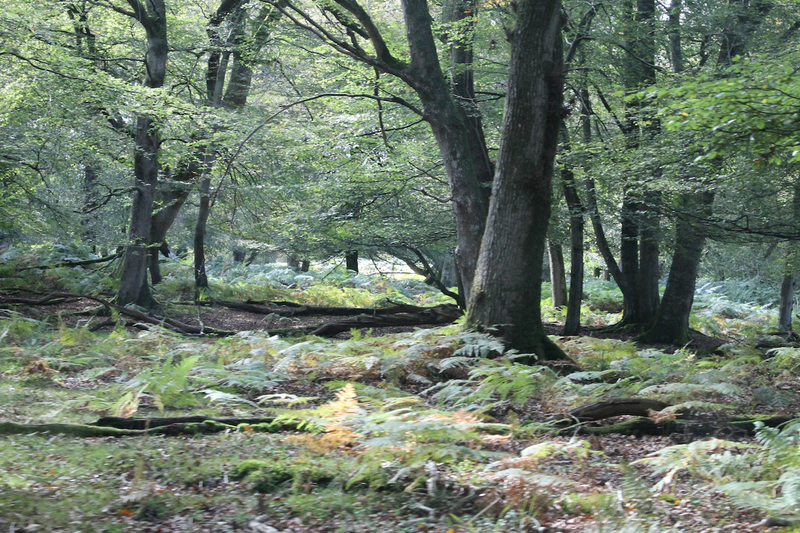 The common rights of the New Forest are attached to property (such as a house or piece of land) and not to a person. These rights have existed since time immemorial, undoubtedly predating the creation of the New Forest by King William I (William the Conqueror) in circa. 1079. Indeed, some commoning families have been exercising their rights for many generations and, in some cases, can even trace their ancestry back to the earliest written records of the New Forest. Commoning on the New Forest is a pragmatic enterprise as well as a traditional one. People with rights of pasture graze their animals communally and help each other to care and look out for them (although the welfare of each animal is the responsibility of the owner). The Agisters, who are appointed by the Verderers of the New Forest*, deal with the management issues of stock on the Forest and work daily with the commoners to ensure high standards of animal welfare. The commoning calendar includes activities, such as the annual drifts or pony round-ups, shows and sales, which give this tight-knit community plenty of opportunity to get together and share the pleasures and privileges of commoning. 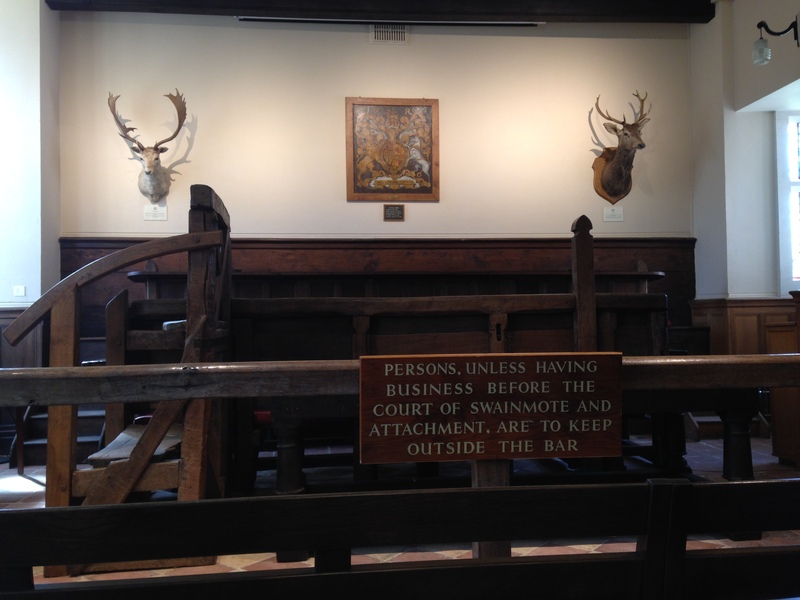 The Verderers of the New Forest protect and administer the interests of the commoners. The New Forest offers plenty of opportunity to experience nature’s ‘green gym’. Shortly after the New Year begins, it seems that we are bombarded with advertising on television, social media, in magazines and via the Internet for holidays in the sun or sure-fire ways of getting fit or losing weight. It always seems that the festive season, in which we are encouraged to feast merrily with others and spend time in front of the TV, is rapidly followed by a period where we are shamed into losing weight or getting fitter. We seem to find it necessary to make New Year’s Resolutions and undertake some form of self-improvement to our minds, spirits or bodies. Fitness centres and gym clubs up and down the country are rubbing their hands at this time of year. It is their traditional ‘harvest time’, when all those new members will be signed up. Author Marwood Yeatman, observed that while the dog-wheel was banned for being cruel to animals, a hundred years later humans are the ones running on the same kind of contraption and paying for the privilege. In his book ‘The Last Food of England’ he maintains that it was an active outdoors lifestyle and fresh food that kept people healthy. He asks rhetorically ‘was it the consumption of cider made from the ripest apples, containing high levels of aspirin that kept people healthy on West Country Farms?’ The link between nature’s bounty and human health is an area of much common-sense discussion, scientific study and even superstitious belief. The New Forest is a diverse landscape of woodland, pasture, heath and bog and is habitat to a myriad of plant species, including medicinal herbs. Many of the wild herbs that grow on the Forest were exploited by the commoners, before veterinary or other medicines became widely available. Wild thyme, for example, is a general antiseptic and was also used to cure colic in ponies. Herb Robert, from the geranium family, was used externally as a wound cure and an insecticide against ringworm. 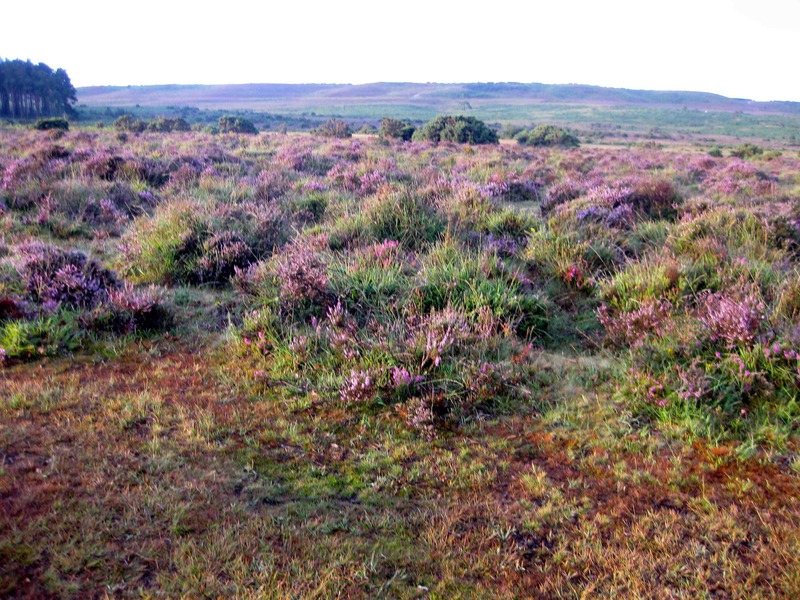 The ling heather that mantles the New Forest in late summer is know in Latin as Calluna vulgaris, from the Greek ‘kalluna’ to cleanse, and has been used since antiquity as a medicine. Indeed, the practical nature of commoning has meant that the resources of the Forest have been appreciated, utilised and protected by the commoners for generations. Theirs has traditionally been a life lived out-of-doors that is physically demanding and dependant upon an intimate knowledge of their surrounding environment. The New Forest has always provided commoners with the means of food production, health and healing, and the fitness benefits of the ‘green gym’. Ling Heather’s Latin name is Calluna vulgaris from the Greek ‘kalluna’, to cleanse, and has been used since antiquity as a medicine. The finish of the 2018 Boxing Day Point-to-Point – on Wednesday 26th December – has been announced as being in the vicinity of the Noads (Dibden Inclosure). Anyone planning to attend the event should only approach from Beaulieu and Hilltop where directions to the finish will be clearly signposted. It is imperative that drivers should only park in the designated parking area and follow the stewards directions to that area. Parking in any other place is strictly forbidden. The first race is due to finish at approximately 11.00am. 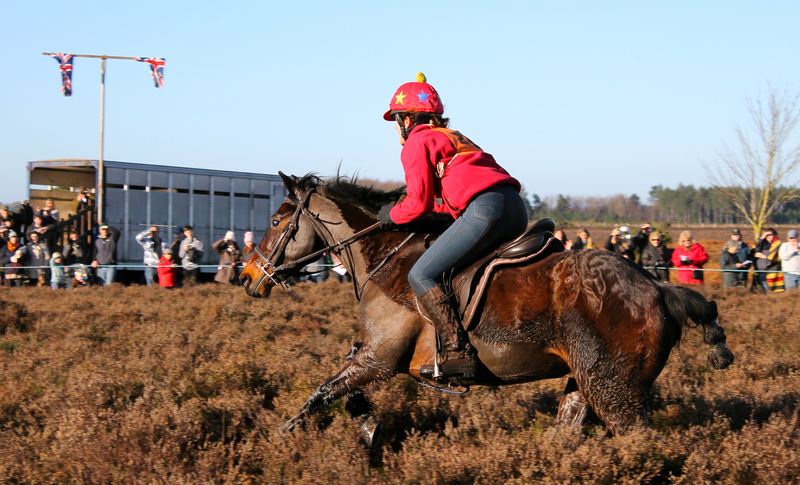 The traditional New Forest Point-to-Point is held on Boxing Day and run under the original point-to-point rules. Riders are allowed to choose their own course, across the Open Forest, between the start and finish point. The location of the finishing point is made public a week before the race but the starting point is kept a secret until the day before – yes, on Christmas Day! The race is the perfect event for demonstrating the all-round capabilities of the purebred or part-bred New Forest pony and a good opportunity for catching up with friends. See you there. Special instructions: If you are attending the Boxing Day Point-to-Point follow the official traffic signs. Please park with care. Appreciative thanks to the organisers, sponsors, volunteers, runners and riders… see you there. As a taste of things to come……here are some pictures from previous years. 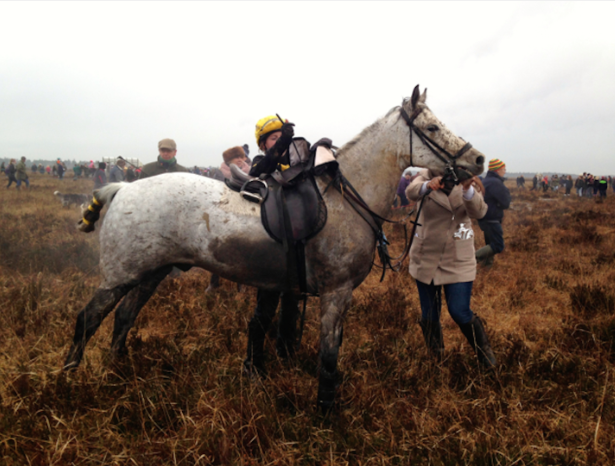 The New Forest meeting is believed to be the only authentic Point-to-Point in the country. The New Forest Point-to-point is a celebration of rural history, cultural heritage and the special qualities of the New Forest pony. Riders are cheered over the finish line by their supporters and other racegoers. 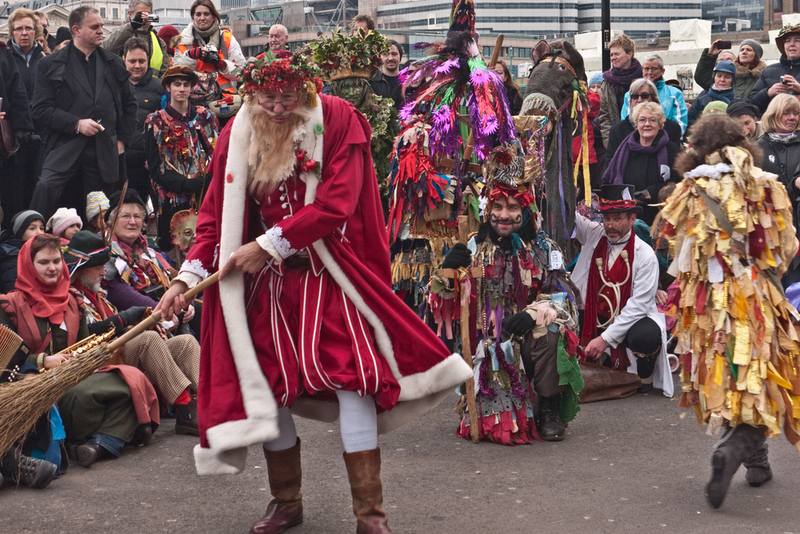 Mummers plays were traditional folk dramas performed at Christmas. Nowadays, the traditional Boxing Day activity on the New Forest are the point-to-point races, which are still run under the original rules. Riders are allowed to choose their own course, across the open Forest, between the start and finish point. The area of the finishing point is made public a week before the race, but the start is kept a secret until they before the race – yes, on Christmas Day! 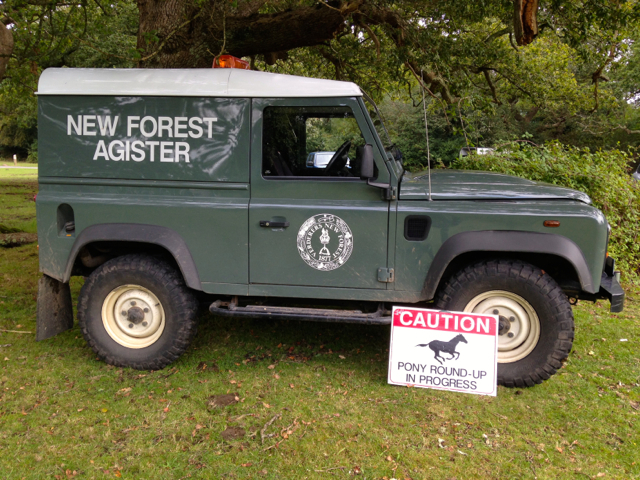 The race is the perfect event for demonstrating the all-round capabilities of the pure-bred or part-bred New Forest pony. It is now a traditional Christmas activity on the Forest. If you look closely you may even see runner and riders with mistletoe or some other evergreen bough about their person for luck. 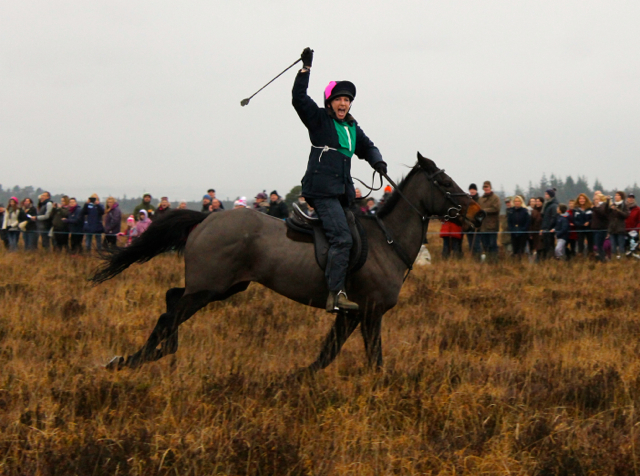 The New Forest point-to-point, held on Boxing Day, observes the traditional rules of racing. Being registered with the Breed Society marks an important milestone in the life of a New Forest foal. 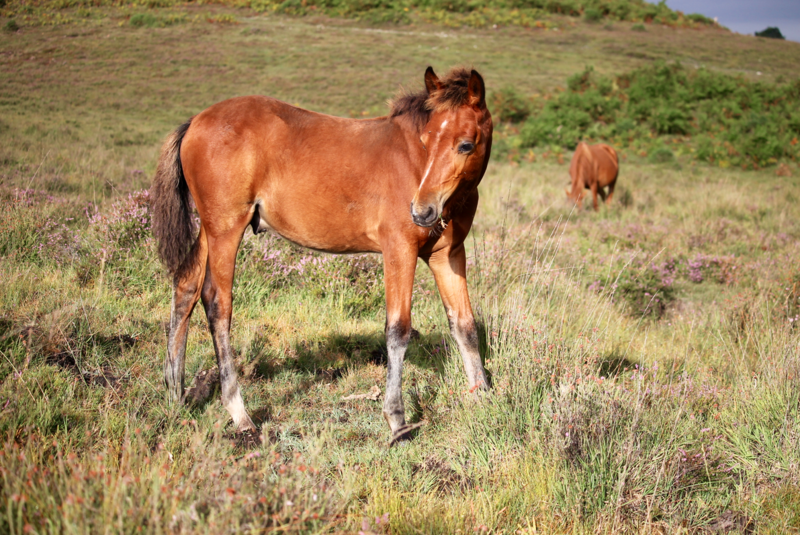 Pure bred, forest born, New Forest foals are an important asset to the New Forest’s ecology, culture and economy. 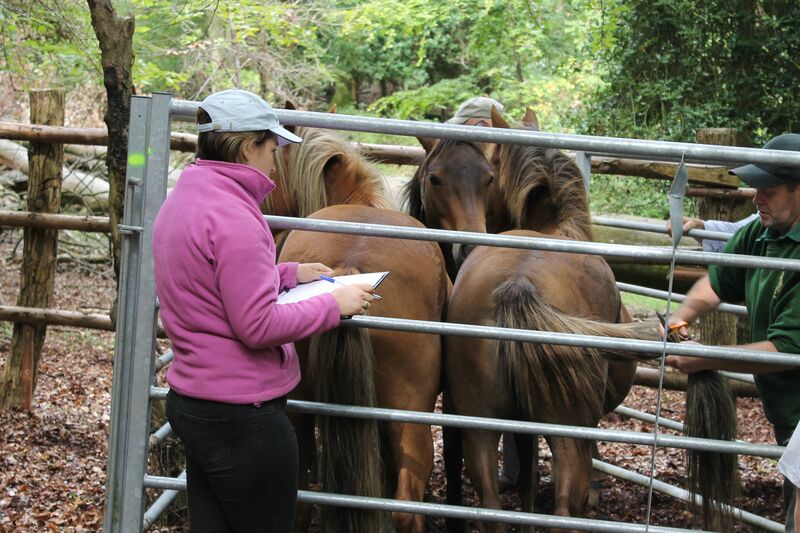 This week has therefore marked an important milestone in my commoning career to date, as I have registered my foals with the New Forest Pony Breeding & Cattle Society (NFPB&CS). The first society for the improvement of New Forest ponies was set up in 1891 to run a stallion show, followed in 1905 by the Burley and District NF Pony Breeding and Cattle Society who started the Stud Book and the Breed Show. In 1937 the Society for the Improvement of New Forest Ponies merged with the Burley and District NF Pony Breeding and Cattle Society producing the official Breed Society that today maintains and updates the New Forest Pony Stud Book. A pony is eligible for pedigree registration with the Society only if both its sire and dam are included in the New Forest Stud Book and it complies with the conditions that are set out in the Society Rules. The former condition was not a problem for my foals, as both sets of parents are registered with the NFPB&CS. The latter condition meant producing the correct details on an application form and submitting appropriate identification details to the NFPB&CS. The identification form includes a written description accompanied by a sketch, which details distinguishing features. The features are identifiers, such as a star, blaze, or snip, on the face; socks or stockings on the legs; and, whorls on the neck, head and body. The ID sketch must be completed to an acceptable standard by a Society-approved identifier. Luckily, one of my commoning friends has been sketching foals for a while and came with me to complete the identification details for mine. On a beautifully clear, but bitterly cold, day my friend and I went foal finding. We were able to find most of the foals that we were looking for but one of mine was proving particularly elusive. It was the last foal we needed to find, typically. Eventually after hours of searching, by transecting the territory her band were known to frequent, a curious little foal’s head popped up out of a patch of bracken, in which she was perfectly camouflaged, and we found her. The paperwork was completed quickly as the temperatures plummeted. With all the identification sketches drawn we decided to retreat to the warmth of my friend’s holding to complete the application forms. As we approached the holding there at the field gate was a large brown cow. It was the last of the cattle my friend had depastured in the Forest and, with all the other cows that had come in previously happily enclosed in the field, the solitary cow was wanting to join them. We had to laugh. While some animals take a lot of looking-for others just come and find you. We didn’t need to herd the cow into the field, as she was so keen to join her friends she just wandered in when the gate was opened. We celebrated our success with a well-earned mug of tea in front of the fire. 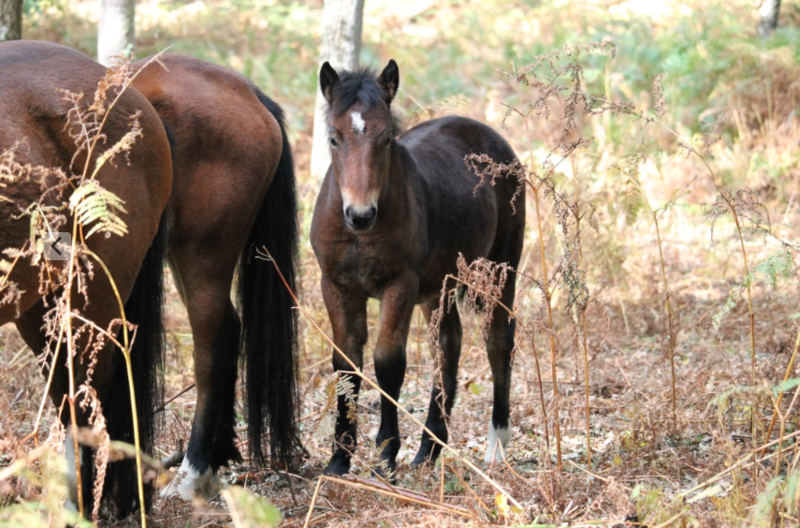 Pure bred, forest born, New Forest foals are an important asset to the ecology, culture and economy of the New Forest. 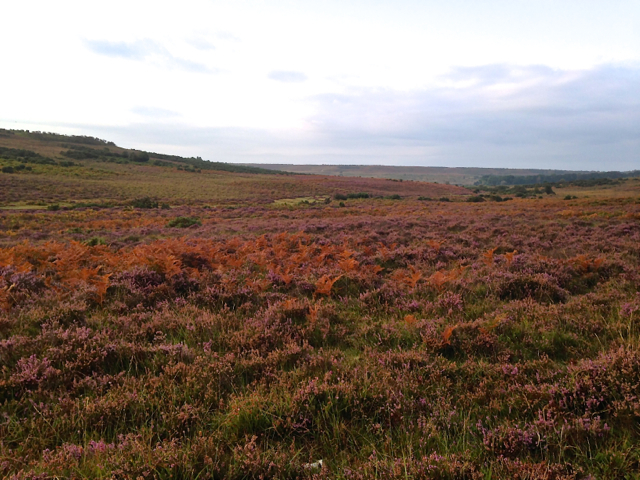 The colours that nature paints across the New Forest landscape are superior to any artist. Autumn on the New Forest is always a time of spectacle. The breaking dawn bursting upon the ancient landscape painted with reds, lilacs, browns and oranges is a visual treat guaranteed to draw wonder from those who rise early enough to witness it. The colours of the autumnal leaves as they turn to gold, copper, yellow and red are a significant tourist attraction and a warming visual treat before the cold of winter finally denudes the trees of cover. Of course the autumn also signals important events in the commoning calendar. Apart from the annual cycle of pony round-ups, one of the most unusual sights during the autumn on the New Forest has to be that of pigs roaming loose during pannage season. Commoners who have the right of ‘Common of Mast’ can turn out domestic pigs to feed on beech mast, chestnuts and fallen acorns. The dates of the pannage season, when the pigs roam free, are decided by the Verderers and Forestry Commission but usually start when the acorns begin to drop from the oak trees and will continue for about two months. The pigs serve an important part of the ecology of the Forest and, in particular, relish the fallen acorns that when eaten in excessive amounts are poisonous to ponies and cattle. 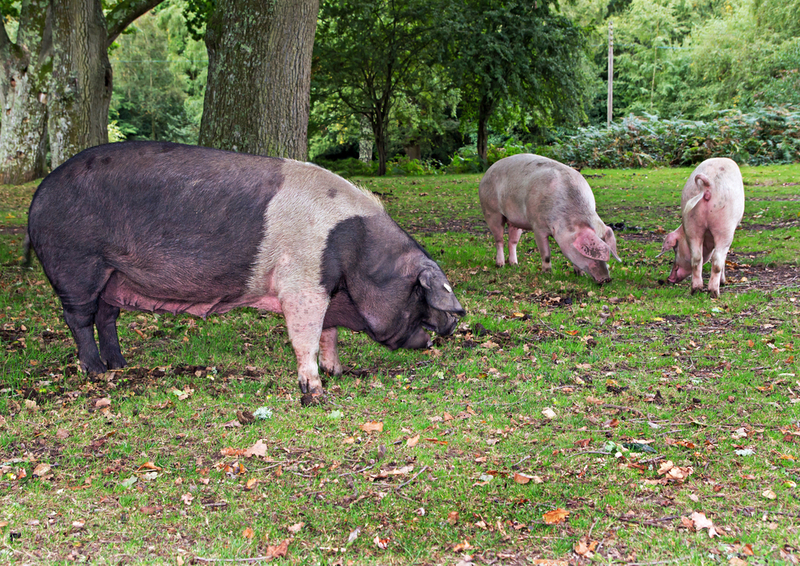 In former times the numbers of pigs foraging on the Forest during pannage would have been between 5,000-6,000 animals. Today, however, there is more likely to be up to 600 pigs roaming the Forest. Free-ranging pigs, like the ponies, donkeys and cattle on the Forest, have right of way on the roads. The pigs, though domesticated, are not tame and the same respect (probably more so) that you would show to any of the other free-roaming animals should be extended to them. There are many stories and indeed videos of people being chased and even mauled by pigs roaming the New Forest but these incidents have usually occured because of some provocation by hapless humans. It is not a good idea to feed the pigs, however willing they may be, as you’ll soon upset them when the food runs out and you try to walk away. 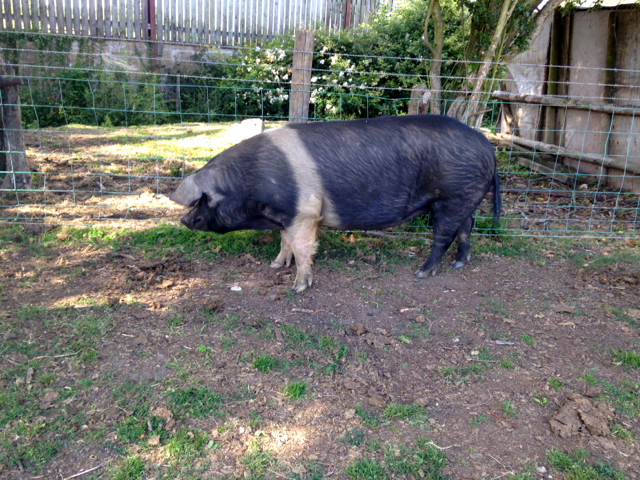 The Wessex Saddleback, which was once associated with the New Forest, is extinct in Britain as a separate breed, but if you are really lucky during pannage season you may see some of the old English breeds of pig – such as the Large White, Tamworth, Berkshire or British Saddleback. During this time of year you may also find local shops selling pig-shaped chocolates, cakes and biscuits in celebration of this country tradition – for those who like their pigs more sweet than salt. Pannage season is an important event in the commoning calendar and a popular tradition. Ponies that regularly wandered beyond the Forest boundary to graze the verges were known as ‘Lane Creepers’. ‘Good fences make good neighbours’ is an oft-quoted phrase that could have been coined with the New Forest and its free-roaming animals in mind. 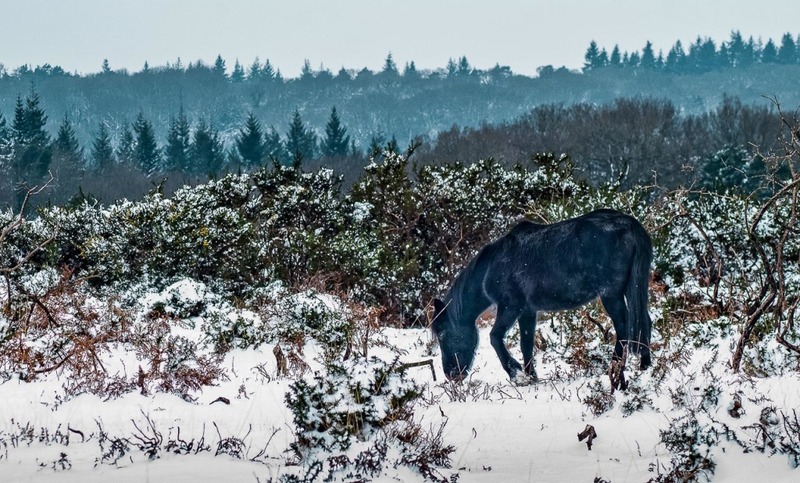 Whilst the New Forest is referred to as ‘the largest tract of unenclosed land in southern England’ visitors will notice that there still seem to be plenty of fences about. The greatest of these is the perimeter fencing that marks the boundary, or ‘perambulation’ of the Forest, which was completed in 1965. This mammoth task, which included the installation of cattle-grids, was undertaken to address the issue of livestock straying away from the Forest. It’s difficult to imagine now but prior to this the Forest animals could wander into places such as Ringwood, Totton, Romsey, up towards Salisbury and even, in one incident, as far as Abbotts Ann, near Andover. These ‘Lane Creepers’ could cause allsorts of mischief and mayhem, as they would often get into people’s gardens, farmer’s fields, or onto busy roads and town centres. Fencing the perambulation ensured that in the future the free-roaming animals would be kept in. For people living and working inside the boundary, and those whose properties abut the Forest, the concerns are quite different as they, on the other hand, want to keep the commonable animals out! The responsibility lies with the landowner to ensure that their homes, gardens, fields or other property are donkey, cattle, pony or pig-proof. It is in the nature of the commonable animals to roam freely and if your fencing is inadequate or non-existent then that roaming activity could include your property. The Verderers of the New Forest frequently remind property owners that ‘fences that keep ponies and cattle out will not necessarily be adequate to stop pigs.’ This sound piece of advice is particularly important during pannage season, when commoners with Right of Mast are able to turn their pigs out onto the Open Forest to roam. It is a well-known fact that pigs are masterly at gaining access to or egress from places that you would not think possible. They seem to be very clever at squeezing through small gaps in fences or hedges and have even been known to root underneath wire fencing, lift it up with their snouts and walk underneath it. If you’ve ever experienced the mayhem caused by a ‘wild’ pony that has managed to get trapped in your garden, it is nothing to compared to the pandemonium that can occur when a herd of excited pigs find themselves in the same situation. The commoning owner cannot be held responsible for any damage that may occur in such circumstances and, indeed, the landowner may be liable if the animal concerned is injured or becomes sick as a result of its unintentional captivity. However, there are instances where well-meaning Forest visitors have inadvertently caused commonable stock to get trapped. In one example, which occurred at about this time of year a decade or so again, some holidaymakers were astounded to see a large sow and her many piglets in the middle of the road making their way through one of the villages in the northern part of the Forest. They assumed that she must have escaped and began herding the pig and her offspring into a gateway, which was attached to the only property along the road. This, the holidaymakers had deduced, was where the pigs had come from. Luckily a passing local saw what was happening and stopped them. The property into which the obliging hogs were being ushered was not the pigs’ home at all but in fact the abode of a keen horticulturalist that contained a cherished garden with many prized and specimen plants. Fortunately the local was able to avert catastrophe and simultaneously educate the visitors about free-roaming commonable animals, release the pigs from potential captivity and save the precious garden from a potential porcine riot! Forest fencing needs to be adequate to either keep animals in or, indeed, keep them out! Verderers of the New Forest: guidance for homeowners. The Agisters control the drifts and direct the commoners who assist with the round-ups. 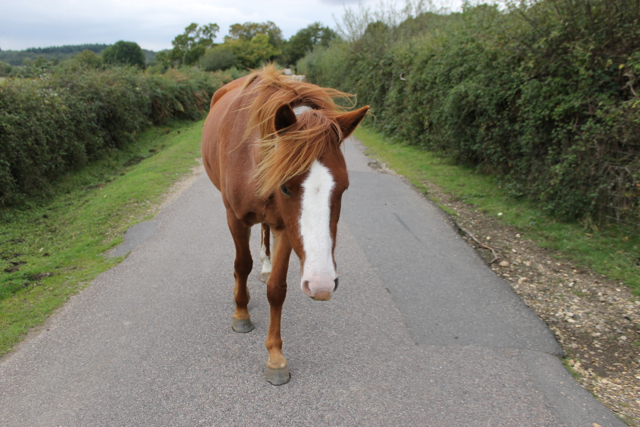 A sure sign of autumn in the commoner’s calendar is the commencement of the pony drifts that take place each year. 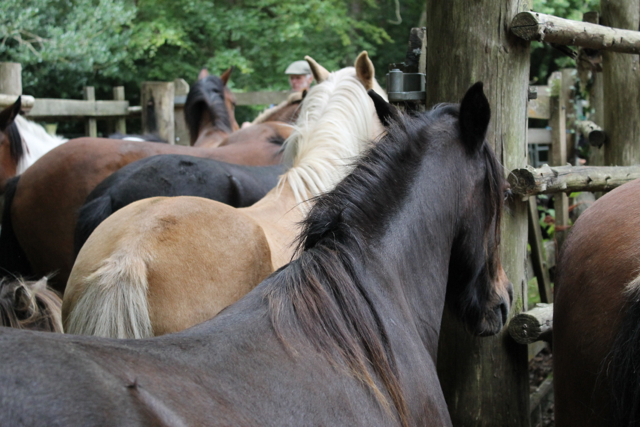 The drifts are round-ups that are conducted by the Agisters and commoners with the aim of collecting together as many of the free-roaming ponies as possible for checking, processing or dispersal. Over 40 drifts will take place in various locations, between August and November every year, but combined will cover all areas of the New Forest. For administration purposes, the Forest is divided roughly into four districts with an Agister responsible for each one. The Agister from each district is able to rely on the assistance of his colleagues, including the head Agister, in the running of the drifts. The word ‘Agister’ is derived from the old Norman French and basically means to care for and feed animals, such as deer, cattle and horses, for a fee. Agisters patrol their districts daily, often on horseback, and have an intimate knowledge of the terrain. The daily contact they have with many of the animals and commoners in their territory becomes invaluable during the operation of the drift. The Agister will reconnoiter the area to be drifted, usually on the day before, to get an idea of which herds or bands of ponies are where. From this assessment the Agister knows how to conduct the drift and what directions he needs to give to those supporting him. Of course, even with all that prior preparation, come the morning it all changes. Drifting on the New Forest has an ancient lineage and originated during the medieval period as a method of hunting deer. Herds of red and fallow deer would be driven or ‘drifted’ by riders into nets or towards waiting bowmen who would shoot them as soon as they came into range. Nowadays the drifts are used to round up the ponies into the pounds, which look like large corrals, where they can be given wormers or fitted with florescent collars and tail-marked by an Agister if they are staying on the Forest for the winter; or they can be loaded onto trailers and removed to the commoner’s holding if they are to be kept in for the winter or sold on. Many of the commoners, who own the free-roaming ponies, attend and assist with the drifts, some by riding with the Agisters and others on foot. Helping on a drift where ones ponies are depastured is always filled with feelings of excited anticipation. There is always a hope that one’s ponies will come in to be processed. However, many commoners work in full-time occupations that do not give them the flexibility to attend the weekday drifts, so the support of the rest of the commoning community is vital. Commoners will help on drifts outside of their areas or districts to assist their brethren. It is an import activity on the New Forest and one that depends on cooperation, coordination and communitywide support. 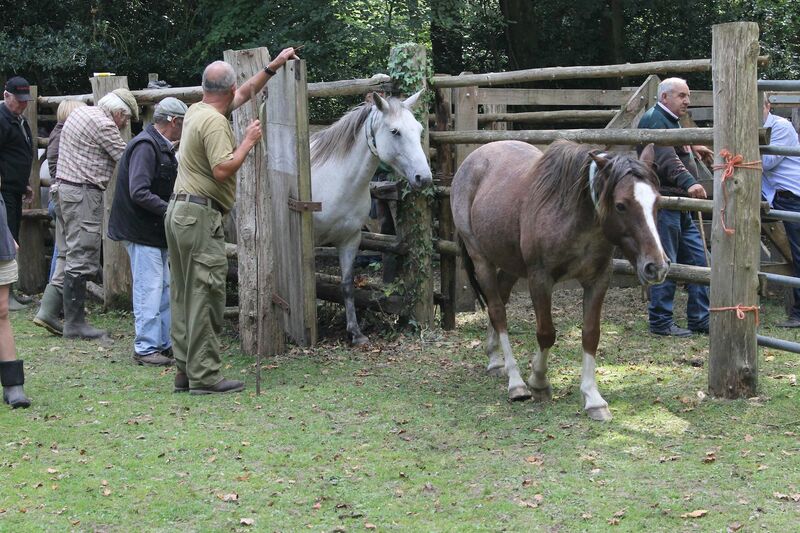 Once the work is done and the ponies are in the pound, it is also an opportunity for meeting old friends, making new ones and absorbing the atmosphere of an important New Forest tradition. The Agister cuts the pony’s tail to show the owner has paid their marking fee. Meadow grass contains essential nutrients that, when dried in hay, will keep the livestock sustained over the winter. It’s been a busy week this week. I’ve been collecting bales of hay off the fields to be stored and used over the winter for my animals. Haymaking has been part of the farming calendar for over 6,000 years and is the traditional way of feeding ponies and cattle over the winter. For optimum results it is an activity that has to be done in dry, sunny weather, which has not been a problem of late. (Hay that is harvested when damp or wet will soon go mouldy and be unfit for feeding to animals.) Each year from about September to March, as the temperature drops, the grass loses its nutritional value. Therefore, the nourishment stored in the harvested summer hay is a vital component of the ponies’ and cattle’s winter diet. In times past, when the deer were preserved for hunting, commoners would have to remove their animals from the New Forest during the period known as ‘winter heyning’. This meant that the deer would not have to compete with the commoners’ animals for food over the leaner months when the natural resources of the Forest are much depleted. According to the Orders and Rules of 1537 winter heyning occurred from Michaelmas to Hocktide but from the mid-1700s onwards it was from 22nd November until 4th May each year. Removing their animals from the Forest to their holdings and back-up land meant that the production of hay during the summer was essential for keeping their animals fed. The rules of levancy and couchancy limited the number of animals depastured in the growing season on the Forest to that which the holding could sustain in the winter. Timing is an important element in haymaking, as the hay meadow needs to be mown just before the grass sets seed when it’s at its most nutritious. Then it will be turned, or ‘tedded’, several times over the course of a few days to bake in the sun. The hay needs to dry evenly but not left until it dries out. Then the hay is ‘rowed up’ and baled. Sounds easy doesn’t it? The hard work comes when you then have to remove the bales from the field because you end up lifting and stacking them multiple times. Once to stack them in the field, again get them on the trailer, and once more to store them in the barn. It’s a grimy, sweaty job, particularly when the weather is as hot as it has been of late. Still, I’m not complaining. I’m just thankful that there is machinery to do most of the hard work nowadays. In the old days haymaking was all done by hand and that would certainly have got me muttering a Saxon oath or two. 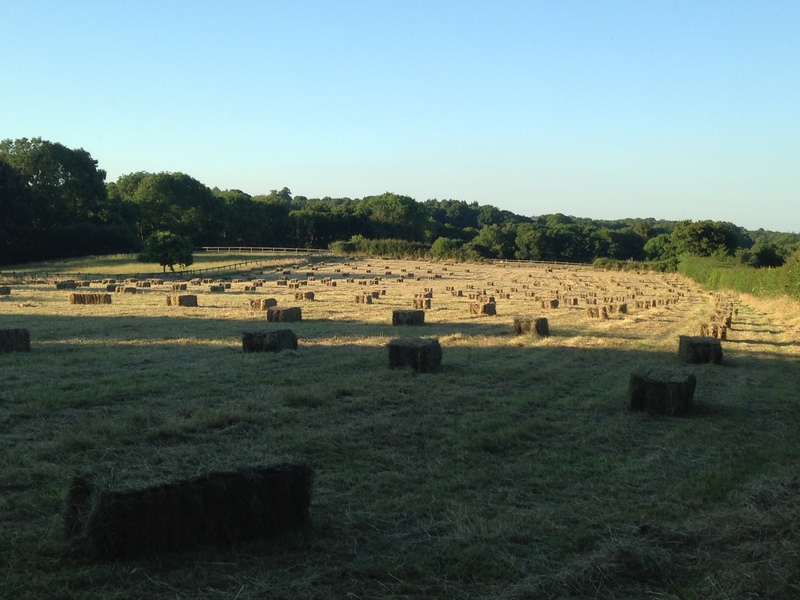 The hay bales are neatly laid out ready for collection.